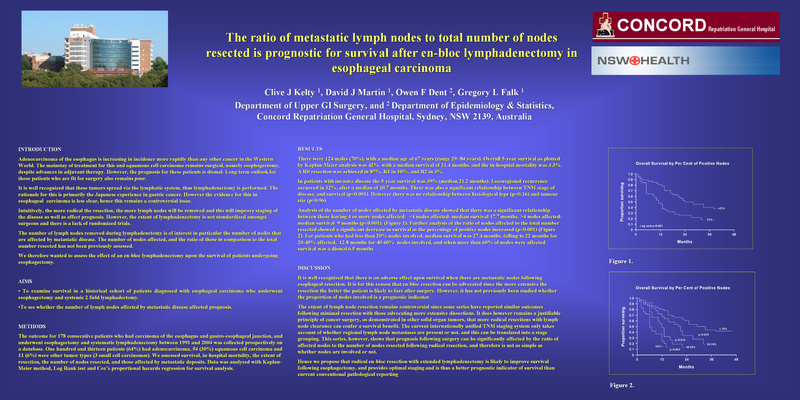 Methods: Prospective data was collected for 178 consecutive patients with oesophageal malignancy undergoing oesophagectomy and systematic lymphadenectomy between 1991 and 2004 in a tertiary referral unit. One hundred and thirteen patients (64%) had adenocarcinoma, 54 (30%) squamous cell carcinoma and 11 (6%) were other tumour types (3 small cell carcinomas). Data was analysed with Kaplan-Meier method, Log Rank test and Cox’s proportional hazards regression for survival analysis.